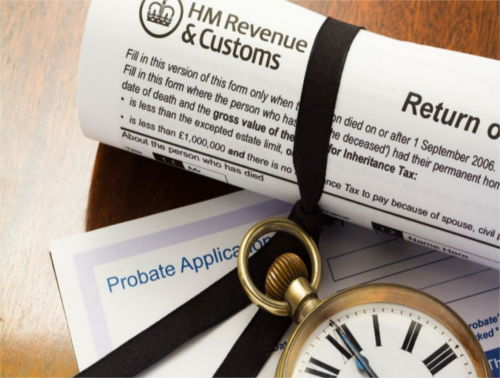 The government has dropped plans to sharply increase probate fees before the election, raising the possibility that the proposals could be dropped altogether. The controversial Ministry of Justice scheme to raise £300m a year extra on the fees by charging up to £20,000 for large estates was authorised by the justice secretary, Liz Truss. However, the ministry has confirmed that the relevant statutory instrument (SI), a form of legislation that allows a parliamentary act to be made or altered without a vote by MPs, would not be completed before the election. It will be up to the next government to decide whether to push through the plans, with no guarantee that this will happen even if Theresa May wins. Under the process, officially known as obtaining a grant of probate, someone – usually the executor of a will or a person acting on their behalf – is given the authority to deal with the property, money and possessions of someone after they die. Not all estates need to go through probate; about half of deaths result in an application for a grant of probate in England and Wales. The new fees would have ranged from nothing for estates valued at up to £50,000, to £20,000 for estates worth more than £2m. This would have replaced a current flat rate of £215 if an application is made by an individual. The ministry said the charges were “fair and proportionate”, and that those who could afford to use the courts should make a greater contribution to their overall funding. Political sources suggested on Friday that the level of opposition to the fee increases – in effect a wealth tax – is too great for it to be reintroduced after the election. It is understood no decision has been made about whether to proceed with the rises in the event of a Conservative victory. If dumped, another source of revenue may be required by the MoJ to replace the projected £300m income the changes would have raised. Compared with her predecessors, Truss has been successful in securing new funds from the Treasury, but finance ministers may resist covering such a large shortfall solely from central funds. The proposal was criticised by a cross-party committee of MPs and peers, who suggested Truss might not have the authority to introduce the charges using an SI. The joint committee on statutory instruments said the plan would “make an unexpected use of the power” connected to SIs. According to the MoJ, higher probate fees are needed to fund the courts and tribunals service. Over the past few years, successive attempts to introduce high court fees have had to be withdrawn following opposition from lawyers and judges, most infamously, the criminal courts charge proposed by the former justice secretary, Chris Grayling. Senior judges have questioned whether the courts and justice system should effectively become a self-funding service.